Our Lady of Sorrows Parish had its birth, like so many national parishes, in humble surroundings. It was created not alone to fulfill religious needs, but also to satisfy emotional and social demands. 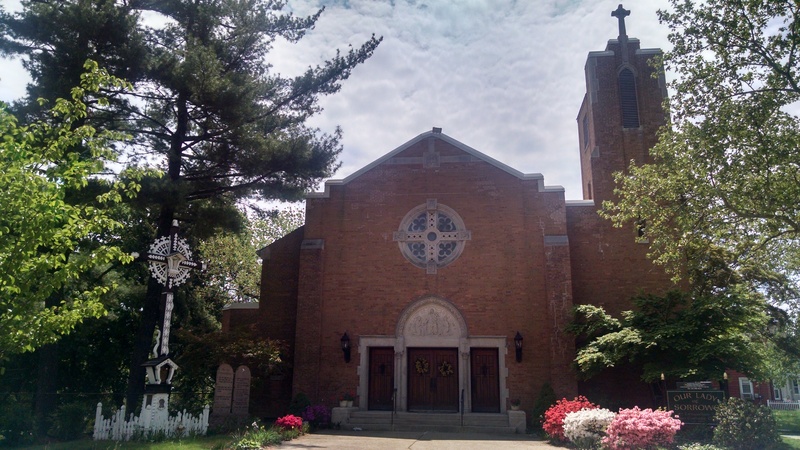 When the parish was formally established in 1915, it was designed to serve the needs of approximately 700 Lithuanians in Harrison and 400 in Kearny. Our first place of worship, in a humble corner of St. Cecilia's Parish Hall in Kearny, was a portent of the problems facing our youthful parish. Second and third generation families may never fully appreciate the fervent longings of their forbears for the sights and sounds of their homeland. But certainly our older parishioners can recall the poverty of our people, their loneliness in a strange land, their youth and energy, and the feeling of unity which they felt with their fellow Lithuanians. They particularly yearned to worship God in their native tongue, and according to their national customs. The Blessed Mother had long been loved and venerated by our forefathers in Lithuania, and it seemed quite appropriate that the people of the newly erected parish choose the name "Our Lady of Sorrows Lithuanian R.C. Church." Today, our parish of Our Lady of Sorrows is comprised of many families from different cultures and backgrounds. 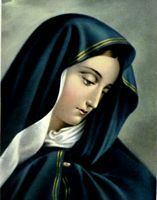 Let us all offer our prayers to Our Heavenly Father and our patroness, Our Lady of Sorrows, that the future will bring with it the many graces and blessings with which we have been favored in the past. We are Catholic Christians of Our Lady of Sorrows Parish who are conscious of the plan of God for the salvation of all. We praise the Lord in our everyday lives by sharing our faith and talents with each other for the continued growth of Our Lady of Sorrows Parish Community. WE wish to live the Beatitudes of Jesus and put them into practice in our daily lives as we answer His call to evangelization. Now at length the sword had passed . Make my heart to glow and melt.